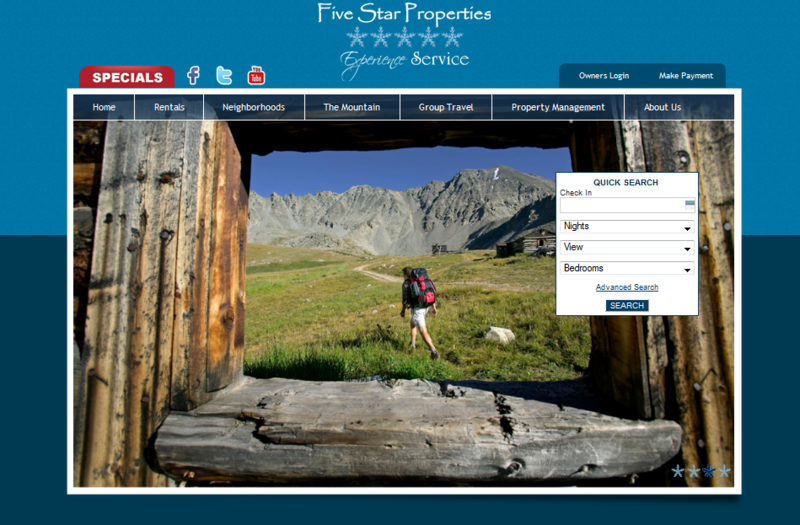 Five Star Properties, a long-time vacation rental client of InterCoastal Net Designs, recently approached us to develop a website for Experience Breck, a Five Star Properties company. Experience Breck is just one of many vacation rental companies housed under the Experience Service name. This new site that features Breckenridge, Colorado as its destination is a responsive design, allowing users to visit the site from their smartphone or tablet and navigate with ease. ICND has been stressing the importance of responsive design to our clients, a mobile-friendly site is almost imperative this day in age! Experience Breck also includes a V12 Booking Engine Integration, all custom programmed by our team here at ICND. The site is simple and functional, allowing customers to reach an end goal of finding the property of their dreams and booking immediately! Previous Previous post: Social Signals have Major Search Engine Implications!